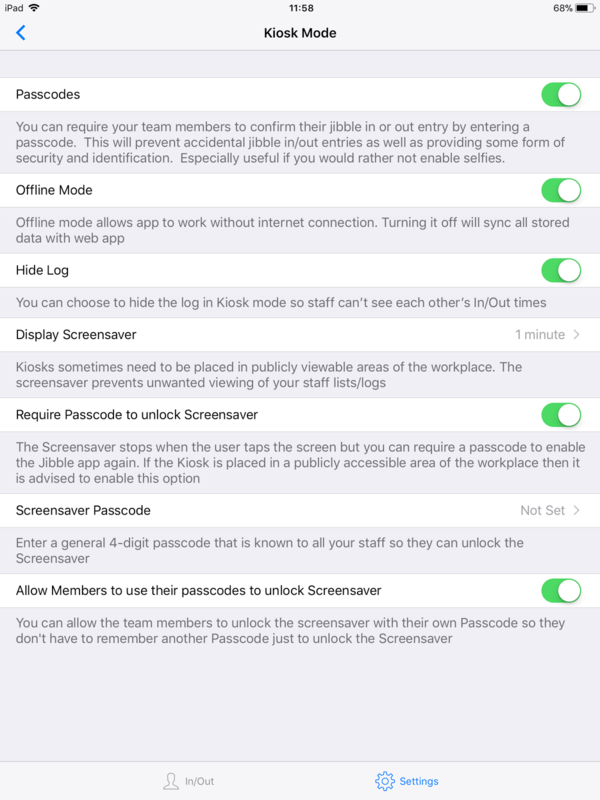 The Passcode power-up was created to provide additional security for teams when using Jibble as an Attendance Tracker in Kiosk Mode. Currently it's possible to accidentally select someone else other than the person intended from the list of team members, and then proceed to jibble in or out for that person unintentionally. Although it can be caught at a later point, due to the selfie feature, it is entirely possible the unintended error may not be caught until much later. 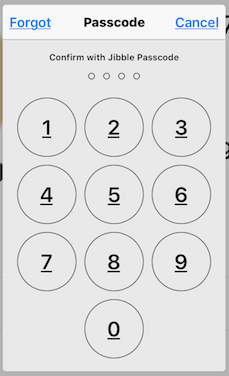 To prevent this from happening completely we introduced the Passcode power-up. In addition to the above it adds a layer of formality to the process of jibbling in and out and discourages a phenomenon known as "buddy punching". Step 1 - Enable the Kiosk+ from the Power-ups menu. 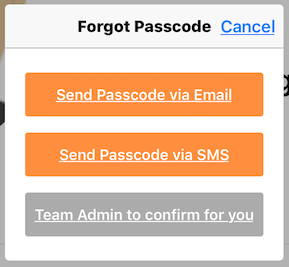 This 4-digit passcode has been randomly initialised for each team member and can be easily changed by the member themselves, from logging into the web app, or by a team admin. Because it is not private to the individual member but also visible to team admins we would discourage anyone from changing it to their bank pin code! That's it! From now on every team member needs to enter their personal passcode to jibble in/out. Have a look at all the Kiosk+ features in this article. NOTE: If for whatever reason the above are not doable at the time of needing to jibble in/out, then a member can request the team admin logged into the kiosk to confirm the member's identify. The team admin will need to enter their passcode to confirm. If you need to confirm the physical attendance of your staff then you should look into setting up Jibble as a Biometric Attendance Machine. You should also check out our help article on setting up Guided Access for Jibble if you are using an iPad.